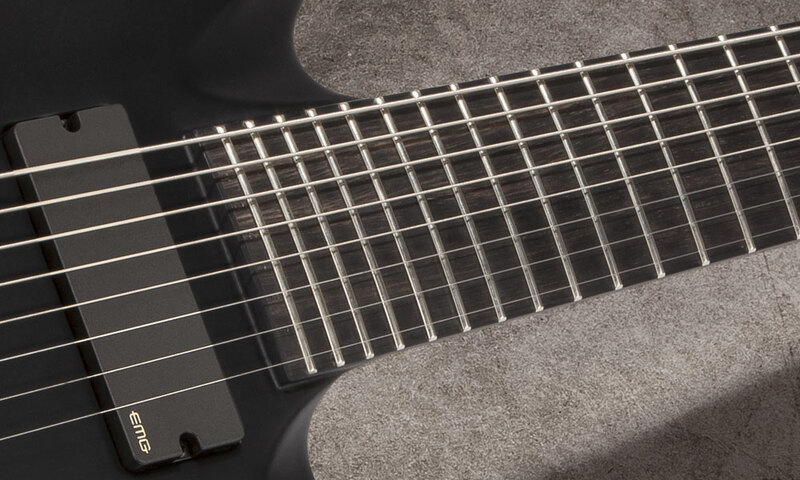 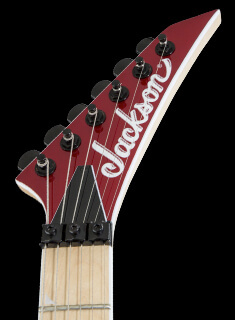 The eight-string B8MG Deluxe features a beveled alder body, through-body quartersawn maple neck with graphite reinforcement, compound-radius ebony fingerboard (12"-16") with 24 jumbo frets and side-dot position markers, 27" scale length, black fingerboard and headstock binding, direct-mount EMG® 808 pickups, Jackson direct-mount HT8 hardtail string-through bridge, Jackson-branded Gotoh® tuners and Dunlop® locking strap pins. 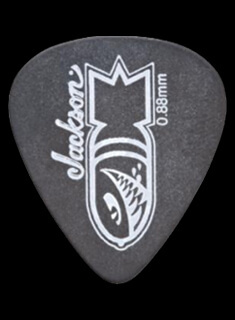 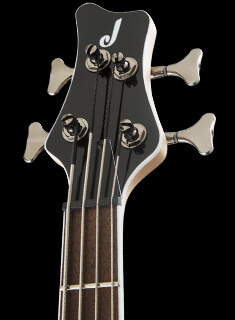 Designed especially for 8-string guitars, the EMG 808 provides rich vocal character, definition and responsive sound. 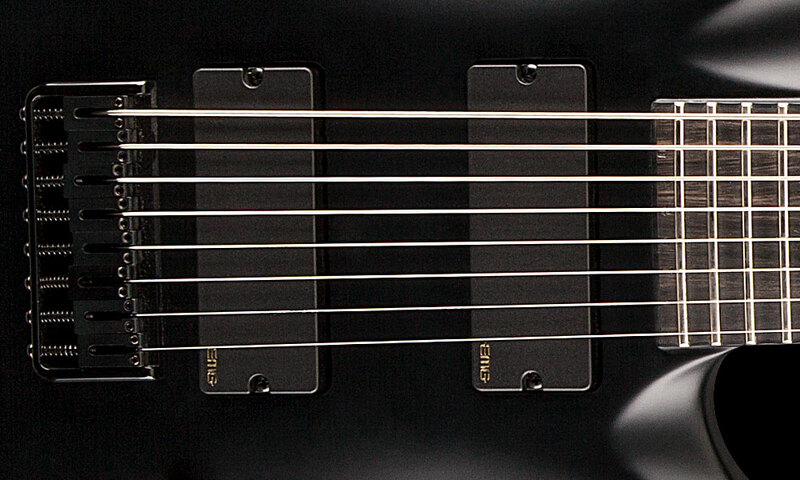 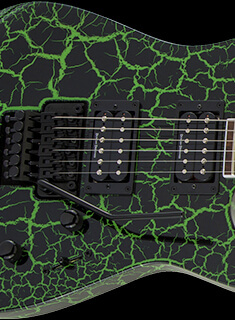 Eliminating muddiness, these pickups enhance the articulation of every note, chord and harmonic.